The first deposit at Betchan is 100% match up to $/€100 +30 free spins for a slot called Fire & Steel. Use bonus code Berlin for this promotion. The second deposit is 50% up to $/€100 plus 30 free spins for Rook’s Revenge. 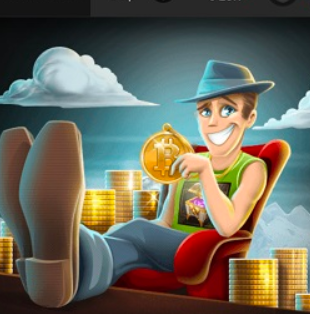 The third one is 50% up to $/€100 plus 30 free spins for a slot called Casanova, and the fourth one is 50% up to $/€100 plus 30 free spins for Lucky Coin. The minimal deposit is $/€20, and the bonus you get is subject to a x45 wagering requirement. You cannot have more than one bonus at a time. Now, BetChan offers a great option of using different currencies – for example, you might find it convenient to play in US dollars and Bitcoin. However, once you started playing through your first deposit bonus, you can’t just up and switch to Bitcoin. Additionally, Bitcoin deposits do not participate in any of the bonus promotions. Now, as you are through with your welcome package bonuses, what else is there to look forward to? BetChan does not offer comp points per se, but they do have an awesome VIP program with 11 milestones/statuses achieved as you earn a certain number of BPs (special points). To earn a single point, you need to wager 20 US dollars, 17 Euros, or an equivalent in a different currency. You earn cash prizes for each milestone + get more perks on top of that starting from level seven. There is Elephant (100 BPs and €5 cash prize), Fox (200 BPs earned and €15 cash prize), Monkey (500 BPs earned and €25 cash prize), Tiger (1500 BPs earned and €75 cash prize), Sheriff (4000 BPs earned and €200 cash prize), Dracula (15,000 BPs earned and €500 cash prize), Captain (30,000 BPs earned and €1,250 cash prize), Viking (60,000 BPs earned and €3,000 cash prize), King (100,000 BPs earned and €5,000 cash prize), Ra (500,000 BPs earned and €30,000 cash prize) and finally Pharaoh (2,000,000 BPs that get you a brand new ride that only a fool will not envy – Porsche 911 Carrera GTS). Levels 7 and 8 come with the added perk of having your monthly withdrawal limit boosted to $/€45,000 + round the click assistance of a personal manager that will help you resolve any issues times faster than if you were to contact the support service. From level 9 you get an upgrade to $/€75,000 in monthly withdrawal limit and of course keep the personal manager all the way to the top – level 11, Pharaoh. This 11-tier VIP program is basically a comprehensive bonus/loyalty program, so if you like bonuses, you are going to enjoy it, especially since there is no maximum bet when it comes to wagering the bonus cash. Of course, climbing all the way to Pharaoh is going to take some spinning, so as you do, there are more bonus-earning options. The first one is BetChan’s Monday reload bonus – it’s 50% of your deposit amount, as long as it’s made on a Monday. The wagering requirement for this one is x40, and you can get a new one each week. BetChan’s weekly tournament “Wind of Change” with a prize pool of $/€2,000 and 5,000 free spins divided amongst the most active players runs for a week, with results announced and winners rewarded every Wednesday, after which a new round begins. To end up in top positions of the leader board, you just need to keep playing your favorite slots, earning more bonus points (every bet of $/€0.1 and over counts towards the final point count) than most other players. You have 7 days to wager the bonus, and the wagering requirement is x3. Between the welcome package bonuses, the tournament, the VIP program and the weekly reload deposit bonus, it’s unlikely that you will be wondering about any more bonuses to be made use of. As always, remember to take full advantage of every bonus offer – it’s a shame to waste a 50% or 100% bonus offer by depositing the bare minimum. BetChan is a well-established online casino that’s been around since 2015. In the few years of its existence it managed to conquer the hearts of thousands of slot fans across the world by offering thrilling promotions and exciting gaming experience. The casino runs on the SoftSwiss platform, so there is nothing to worry in terms of security and randomness of outcomes. Among the things that BetChan players find most appealing is the multi currency option – Bitcoin included. Australian players are also welcome – all bonuses and rewards can be viewed in AUD once this language option is selected on the main page. BetChan offers a great selection of slot providers and live dealer games. Owned and operated by Direx N.V. a Curacao-registered company. You can play for Bitcoin, as well as EUR, USD, SEK, RUB, NOK, AUD, CAD and PLN. You can navigate the website in the language of your choice – picking between English, Russian, Swedish, Norwegian, Finnish, Polish and German. Over 2,000 games, including slots, table games and live dealer games from Ezugi and Evolution. Plenty of live dealer tables open to play blackjack, roulette and Baccarat. A handsome choice of slot providers, including PlayNGo, Yggdrasil, NetEnt, Habanero, Igaming2go, Belatra, Microgaming, Pragmatic Play, Amatic, BetSoft Gaming, Endorphina, Booming Games, iSoftBet, Amaya, SoftSwiss, EGT, GameArt, MrSlotty, ELK, NextGen Gaming and Thunderkick. Offers a 4-tier welcome package with total worth of up to €/$400 and 120 free spins for selected slots. Additionally, has a VIP program with cash prizes and a luxury sport car as main prize, a Monday reload bonus (50% up to 100), a weekly tournament called Wind of Change with €/$2,000 and 5,000 free spins up for grabs. Minimum deposit is €/$20 or other currency equivalent. Highly appealing wagering requirements – x3 for VIP program bonuses and tournament bonuses, while deposit bonuses come with a wagering requirement of x40. A good choice of payment systems, including Visa, Maestro, MasterCard, Cubits (for Bitcoin), Ecopayz, Webmoney, wire transfer, Neteller and Skrill. Quick and secure deposits and withdrawals. Standard withdrawal limit – €/$25,000 a month (can be increased if you become Captain (€/$45,000 a month) and even further – for King (€/$75,000 a month). Efficient and professional customer support available via live chat, online form and e-mail. No phone support is offered due to the fact most players prefer to contact support via the three methods mentioned above. Bitcoin deposits are usually excluded from most promotions. Some table games and slots may not be available to Bitcoin players, leaving them with over 1,500 slots to play still. As always, the decision is yours, but based on the above, BetChan sounds like a worthy casino to deposit and play with.